Fast upon yet one more instance of in-school child-on-children murders, this time outside Seattle -- just how in hell did the damned gun get past the door of that school...oh...wait...that's a predominately middle-class white-kid-no-metal detectors-school. How can we be so damned lax with our kids' lives? In a way, here’s how. Inae Oh, in "Mother Jones", the magazine that broke the story two years back -- Mitt Romney telling wealthy donors 47% of voters were lazy, good-for-nothing takers -- "Mother Jones" brings us news which has to warm any freedom-committed person’s blue-steel heart. 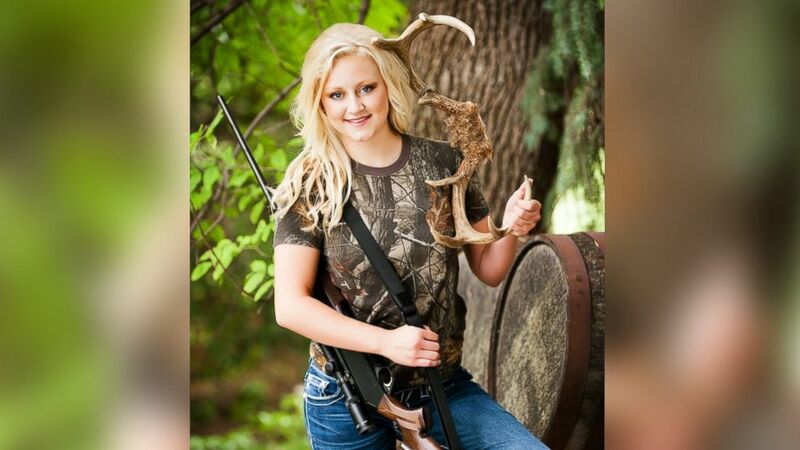 Seniors at Nebraska's Broken Bow High School have assumed their clear-as-a-bell God-given right to pose with guns for their upcoming yearbook portraits as long as the photos are done tastefully, that is, the smiling co-ed posing with her A. K. had better not show too much skin. The school board says it’s great to give students the shot to take their pics with their guns...you know…like a ball player posing with his bat, a hoopster with his basketball, an All-American Kid hoping for an ISIS scholarship posing with her machete. The idea was met with a unanimous Yes by the Broken Bow school board. One board member said he thinks the policy’s important because it allows kids owning weapons to show off what they love. And as for the "tasteful" requirement?No photos with weapons pointed at the camera, no "scantily clad girls." And some wonder how terrorists can possibly make inroads, how groups like that can possibly appeal to American Youth. Uh huh. We’ve welcomed our kids to this death-cult long before they ever heard of the Klan, Hamas, the NRA, ISIS. Does the NRA belong in that company? No, but only if you think terror can be sustained, excused, glorified, absent surrogation. Well, that's a "glamour shot". I take it she hunts. At least she's not hiding it in her pants leg on a school bus. Use pebble sliming shot ball? Fire at ISIS with pretty paintballs? Claudia Darling can shoot bug Insects? WUMO ASK ` Honey. I had a Jittery Night! I Dreamed I was ` BIT by Mosquitoes All Night! The Woman Next to ` WUMO has Bug Bite Welts! Would education officials anywhere in this country encourage and countenance a black kid posing, in this manner, for an official, tax-payer subsidized, school publication?